I have a secret…as a coach and consultant, I sometimes (okay, often) give better advice than I take. Gasp! And I bet if I took a poll right now I’m in good and plentiful company. Granted, there are some things I assign my clients that I do religiously; things like crafting visions, affirmations, positive thinking and on the tangible side, creating goals and setting up measurements for really important things. But recently I hit somewhat of a ‘dark night of the soul’ career-wise, and realized that I was not being a good coaching client and not even a particularly effective businesswoman. The thing that boggles my mind is that I run into this all the time with clients and it STILL took me way too long to realize it…if you’re curious, it’s this: failing to see the incredible value I bring in some specific professional areas because a) it comes really easy to me and b) one or two people in my past have not valued this particular skillset. In my case, the area of which I speak is career coaching. This has been something to which I’ve always been drawn. I’ve written resumes for people for decades and am certified in the craft and most of the coaching I do with my clients ends up transitioning into helping them discover their calling and determining the tools they need to achieve it. I did this when I was an HR Director, I do it as a Management Consultant and yet I’ve resisted incorporating it into my ‘branding’ because I haven’t seen how it fits into my other consulting and I don’t want to appear scattered. It’s not even a major change so much as adding an element to my business. In my case, I still do management consulting, organizational development, high level HR, and recruiting but I’ve added working with companies to help their exiting employees find new jobs in the event of downsizing. The other change is now including individual resume writing services and career coaching under the Limitless brand. It’s a change I’m really excited about and I hope those in my network will be too, as it has opened up more ways to help people. 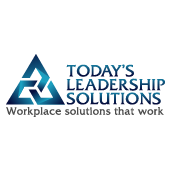 It all falls under the umbrella of Workplace Solutions that Work. For me, it was a matter of feeling uncomfortable enough to take my own advice. Figure out what I’m great at and …DO IT. If you’re in the same boat, know first that you are not alone. And there’s more than two of us, too! It seems like more people are craving change than not and I for one just love helping people achieve their goals. If you’re having your own dark night of the soul, don’t be afraid to look at what’s working, what isn’t and what just might be possible. I’d sure like to hear your story!